Local and Worldwide Online Advertising Support 365 Days. We hope to have a chance to serve you! BUY NOW and JOIN US! 1) You will own a webpage in Effye.com | 2) One year of information updating support. – within 365 days we help you to publish your content to online world – through webpage. | 3) You even allow to edit your webpage at your own. – we may provide your authority to edit your webpage, upload and edit yourself. | 4) Every webpage is lifetime publish, we do not limit the time to unpublished a webpage. | 5) This services help you to promoting your products, services and events. ** Pay here by Credit Card or Paypal Account. ** Contact us if you need to do online transfer payment. We save your time of technical work, and you may have more time in creativity! ✅ We publish your content in webpage and share it to social media. ✅ One year of information and content continuous updating support. ✅ USD$50 for single webpage fees and 365days updating assist. ✅ Use One Year Continuously Update Your Profile and Online Content and publish permanently. Use One Year to Continuously Update Your Profile and Online Content! Let us assist you in publishing your information and introduction. What you Get with USD$50 ??? 2) One year of information updating support. – within 365 days we help you to publish your content to online world – through webpage. 3) You even allow to edit your webpage at your own. – we may provide your authority to edit your webpage, upload and edit yourself. 4) Every webpage is lifetime publish, we do not limit the time to unpublished a webpage. 5) This services help you to promoting your products, services and events. 1 year of continuous content update of your webpage content in Effye.com . 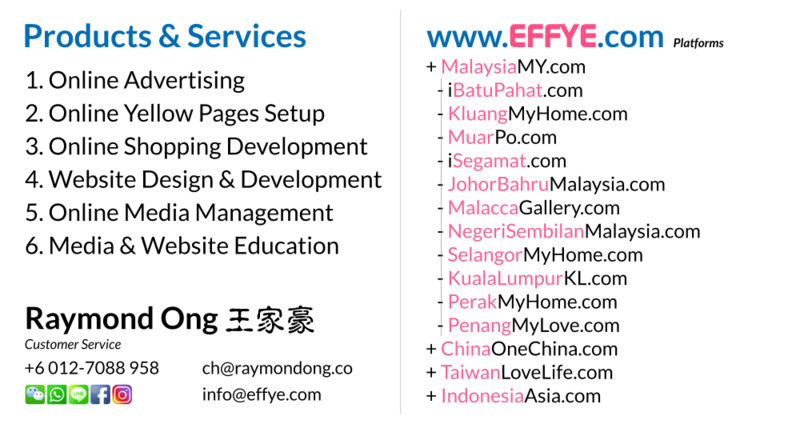 Get traffic and exposure through Effye.com webpage advertising. Life will be too short to work alone, let works together. 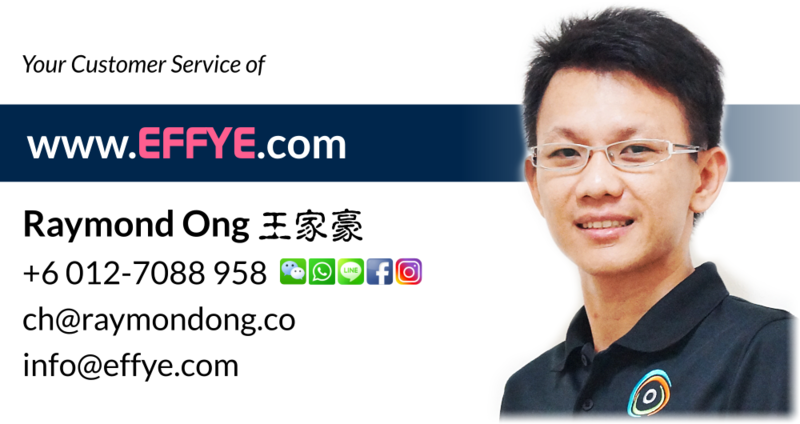 Contact Raymond Ong after you Make Payment! I have question to ask Effye.com . Please communicate with us. Buy it now and Join Us! Our new service 2018, provide webpage 365 days continuous update service, is only USD50 for a webpage for 365 days continuous support. We will ready a webpage for you and update for you 365 days.